Synthetic peptide corresponding to Human ATG7 (C terminal). Caco-2 cell lysate, MCF7 cells. Our Abpromise guarantee covers the use of ab53255 in the following tested applications. WB Use a concentration of 0.5 - 1 µg/ml. Detects a band of approximately 78 kDa (predicted molecular weight: 78 kDa). E1-like activating enzyme involved in the 2 ubiquitin-like systems required for cytoplasm to vacuole transport (Cvt) and autophagy. Activates ATG12 for its conjugation with ATG5 as well as the ATG8 family proteins for their conjugation with phosphatidylethanolamine. Both systems are needed for the ATG8 association to Cvt vesicles and autophagosomes membranes. Required for autophagic death induced by caspase-8 inhibition. Required for mitophagy which contributes to regulate mitochondrial quantity and quality by eliminating the mitochondria to a basal level to fulfill cellular energy requirements and preventing excess ROS production. Modulates p53/TP53 activity to regulate cell cycle and survival during metabolic stress. Plays also a key role in the maintenance of axonal homeostasis, the prevention of axonal degeneration, the maintenance of hematopoietic stem cells, the formation of Paneth cell granules, as well as in adipose differentiation. Widely expressed, especially in kidney, liver, lymph nodes and bone marrow. Belongs to the ATG7 family. The C-terminal part of the protein is essential for the dimerization and interaction with ATG3 and ATG12. The N-terminal FAP motif (residues 15 to 17) is essential for the formation of the ATG89-PE and ATG5-ATG12 conjugates. Cytoplasm. Preautophagosomal structure. Localizes also to discrete punctae along the ciliary axoneme and to the base of the ciliary axoneme. All lanes : Caco-2 cell lysate at 15 µg per lane. IHC image of ab53255 staining in human breast carcinoma formalin fixed paraffin embedded tissue section, performed on a Leica BondTM system using the standard protocol F. The section was pre-treated using heat mediated antigen retrieval with sodium citrate buffer (pH6, epitope retrieval solution 1) for 20 mins. The section was then incubated with ab53255, 5µg/ml, for 15 mins at room temperature and detected using an HRP conjugated compact polymer system. DAB was used as the chromogen. The section was then counterstained with haematoxylin and mounted with DPX. Immunohistochemistry (PFA perfusion fixed frozen sections) - Anti-ATG7 antibody (ab53255)Image from Meng Q & Cai D, J Biol Chem. 2011 Sep 16;286(37):32324-32. Epub 2011 Jul 22. Fig 4.; doi: 10.1074/jbc.M111.254417; September 16, 2011, The Journal of Biological Chemistry, 286, 32324-32332. 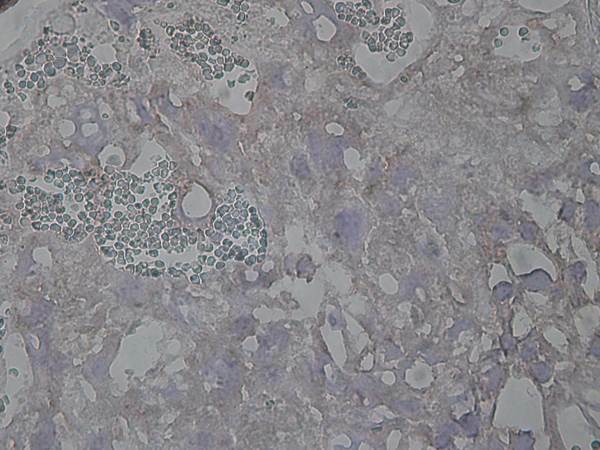 Immunohistochemical analysis of murine brain tissue, staining ATG7 with ab53255. Fixed brain sections were blocked with serum, permeabilized with 0.2% Triton X-100, and treated with primary antibody. An AlexaFluor®555-conjugated anti-rabbit IgG was used as the secondary antibody. Publishing research using ab53255? Please let us know so that we can cite the reference in this datasheet. Thank you for confirming the PO number and for having provided us with your protocol.The details provided enable us to closely monitor the quality of our products. I am sorry this product did not perform as stated on the datasheet and for the inconvenience this has caused. As requested, I have issued a free of charge replacement (ab133528) with the order number xxxxxxx. I am emailing you with regard to your message sent on November 12th (see below). I highly appreciate your offer to substitute our current antibody. Since you claim that you have two other antibodies that are supposed to work in mouse, I would like to ask for a vial of the antibody anti-Apg7 (ab133528). Could you please send it free of shipping cost to the address indicated below? Regarding your request which blocking reagent I used: 5% milk powder in PBS+0.1%Tween. Blocking was performed for one hour at room temperature whilst gently shifting. Nevertheless, I don't think that the blocking procedure is the cause for our faulty results. What makes me more worrisome is the fact that we did not get any specific band of 78 kDa which, of course, does not have anything to do with blocking. But I still hope that my information will help you to investigate this matter. Thanks again for your efforts and collaboration! Thank you for contacting us and for providing us with extra information about the protocol used. All our products are covered by the Abpromise guarentee and since our product did not work as stated on the datasheet, I would be happy to replace the antibody ab53255 with ab133528 providing the product was purchased in the last six months. In order for me to issue this free of charge replacement, I need the orginal order number of ab53255 and I can't seem to find it in our records. Was this product purchased in the last 6 months and if it was, do you have the orginal order number so that I may issue you a free of charge replacement? our lab is a long-term customer of Abcam and your products are always good and trustworthy. 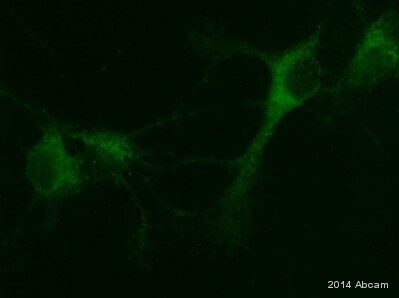 However, this time we got completely disappointed by the oder of the following antibody: anti-Apg7 (ab53255). We performed an anti-Apg7 Western blot on cell lysates from an immortalized mouse macrophage cell line. The cells were lysed with the following lysis buffer: 1x NP-40 and 1x proteinase inhibitor cocktail (Roche, 7601004) in PBS. The protein concentration was determined by BCA. For the Western blot 50 ug of protein was loaded per well of an 12% SDS-PAGE. The Western blot was performed by diluting the antibody 1: 100, 1:200 or 1:500 (2 ug/ml, 1 ug/ml or 0.4 ug/ml final antibody concentration, respectively) to determine the ideal dilution for our purposes. Unfortunately, we were not able to detect any band at the predicted band size of 78 kDa, but multiple unspecific bands. Please, find attached the scanned Western blot for your references. Regarding of this, I would highly appreciate if you could replace this product by a working antibody or refund the antibody completely. Thank you for your time and cooperation in this matter! Thank you for taking time to contact us. I am sorry to hear that this antibody is not providing satisfactory results. Having reviewed the protocol details, I believe this product should have given satisfactory results. It appears that you may have received a faulty vial. Could you please additionally tell us the blocking agent used as this will help us further investigate this product? I can recommend two other antibodies which are guaranteed to work in Western blot in mouse: ab133528 (https://www.abcam.com/ab133528) or ab80639 (https://www.abcam.com/ab80639). Alternatively I could give you a refund for this antibody. Once again I apologize for the inconvenience and if you could let me know which resolution you would prefer, I would be pleased to offer you a free of charge replacement, credit note, or refund in compensation. I'm wondering whether you are willing to test the antibody specific Atg7 for FACs analysis. Since we're looking for a Ab specific mouse Atg7, we thought your Ab that I listed on title is one of the best available candidate. However I'm not sure whether your Ab is specifically working for FACs analysis. If you have a reference that used for FACs analysis, that would be great. Also, please let me know what you are thinking about the possibility, so that we can discuss about further process. Thank you very much for your interest in ab53255. To our knowledge, ab53255 has not been tested in FACS. I can recommend ab52472 which has been tested if you are using human samples. It does not react with mouse or rat. Alternatively, I can offer a discount off a future purchase if you buy ab53255 now, test it in FACS and submit feedback to us in the form of an Abreview. It doesn't matter whether the Abreview is positive or negative, we would just really like to receive your feedback. The discount would be to the value of: 1 free primary antibody. 1. Reply to this e-mail to let me know that you would like to proceed and test ab53255 in FACS. I will then send a discount code. This code must be issued before purchasing ab53255 so please wait for my reply before ordering. 2. Purchase ab53255 either by phone, fax, or online (www.abcam.com). 3. Test it in FACS. 5. After the review is submitted to us, the discount code becomes active. Simply place your new order by phone, fax, or on the web and mention the discount code. The discount can be redeemed for any primary antibody] ordered and the discount code is valid for 4 months after issue. We are always pleased to obtain feedback about our products and any information is greatly appreciated! Even if ab53255 turns out to be unsuitable for FACS, you will still receive the discount on your next purchase after your Abreview has been submitted. 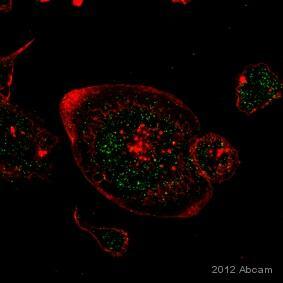 For the antibody ab53255 I've got some improvements on the results, therefore I will use it for my experiments. Concerning the ab91526, if possible I would like to have a refund, but in case this could not be feasible, also a credit note would be good. Your credit note ID is 20XXX (for 1 vial of ab91526). thank you for your prompt answer. Here below the answers to your questions. I hope this could help in solving the problem. 1. Do you know the lot number and order number of each of the antibodies? While for the order number at the moment I can’t provide you any information as the technician who ordered the antibodies for me is now on holiays. 2. How was the sample collected and treated prior to loading on the gel? What lysis buffer was used? Were any protease inhibitors used? Was the sample boiled prior to loading? Was any reducing agent used? Samples were first stored at -80 (after dissection of the animal), thawed in ice. Lysis buffer added and samply lysed by sonication with two pulses for 5 sec. Lysis buffer: SDS 1% (or triton X 100 1% in a second experiment), EDTA 1mM, NaCl 50mM and TrisHcl pH 7.4 100mM. Complete protease and phospatase inhibitors were freshly added to the lysate. Samples were boiled for 10min at 95C after adding loading buffer. No reducing agents were used. 3. How was the blocking performed? Time/temperature? Was any detergent included in the blocking buffer? Blocking was done in different blocking buffers: milk 5% or BSA 5% or NGS 5%. 1h at room temperature. Blocking buffers were diluted in TBS + 0.1% Tween 20. 4. How was the primary antibody incubated with the membrane (time/temperature)? What diluent was used with each of the antibodies? Antibodies were incubated O/N at 4C. Antibodies were diluted in milk 2%, BSA 5% or NGS 5% in TBS + 0.1% Tween 20. 5. What washing steps were employed and with what buffer? Washing steps: 3x 10 min in TBS + 0.1% Tween 20. 6. Were the membranes freshly probed or was the same membrane used and stripped between each antibody? If so, how was this procedure performed? Membranes were all freshly probed. 7. Secondary antibody:goat anti rabbit, used 1:10’000 in milk 2%, BSA 5% or NGS 5% in TBS + 0.1% Tween 20. 1h at room temperature. Thank you for providing that information. Having reviewed the protocol used, I believe there are afew things that maybe worthtrying in order toimprove the specificity observed.I would suggest using a reducing agent in the loading buffer to reduce the aggregation which may be occurring (especially with ab91526). Either DTT or b-mecaptoethanol. It would also be worth reducing the temperature at which the protein is denatured. Certain proteins are prone to aggregation, which can be reduced by heating to 70 degrees for 10 minutes instead of 95. I would also suggest reducing the concentration used slightly (ab53255 down to 1/500 and ab91526 to 1/1000) to see if this improves the binding as well as reducing the amount of protein loaded (down to 40 ug/lane). Has a "no primary" control been performed? This may be worthwhile, just to rule out any non-specificity relating to the secondary antibody used. Should these suggestions not improve the results please do let me know and I'll look into if we have any alternative lots of these antibodiesor different antibodies altogetherwhich you may be interested in trying. I recently purchased two products from your primary antibody catalogue and both of them gave me problems in the detection of the expected protein. In both cases the images available in your datasheet show specific signal at the expected height and a clear western blot. Seen these discrepancies, although using the same experimental conditions,I would appreciate a technical help to solve this problem or some suitable alternative. Unfortunately the presence of so many unspecific bands would not allow me to produce consistent and robust scientific data, thus influencing the output of my research. I am sorry to hear you are experiencing difficulties with one of our products. We take product complaints very seriously, and investigate every product that we feel may not be performing correctly. The details provided will enable us to investigate this case and will provide us with vital information for monitoring product quality. Hopefully with this information I will be ableto suggest modificationswhich will improve the specificity currently observed.